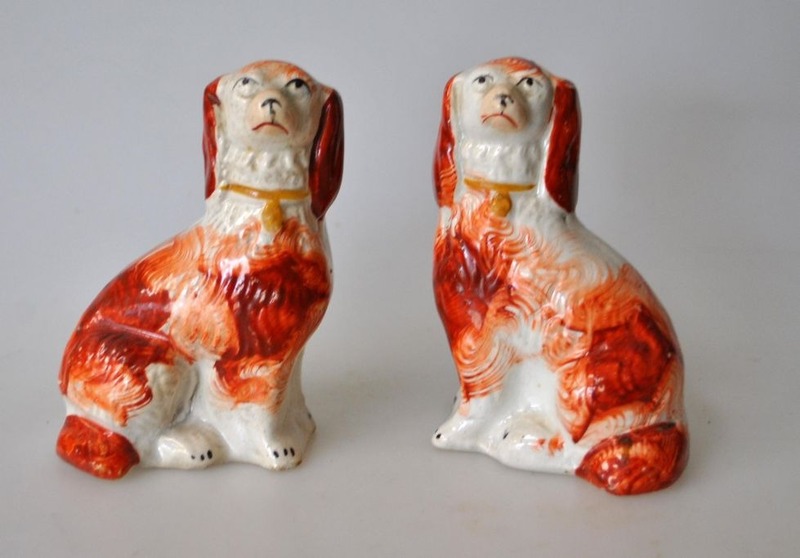 WorldAntique.net - Pair of smaller Straffordshire poodle dogs, 19th century England. 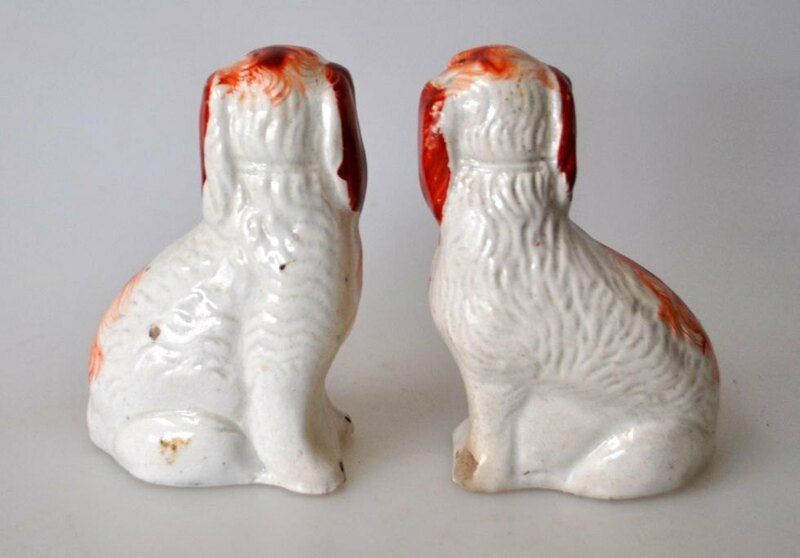 Pair of smaller Straffordshire poodle dogs, 19th century England. King Charles Spaniels. H: 9.5 cm. One with less rejection.